Pigeon racing is a sport in which specially bred and trained pigeons are released from specific locations. They then race back to their home lofts. Get in touch with us, The RPRA, and we’ll send you a starter pack and put you in touch with your local club. Do I need a loft in my garden? No. These days there are two forms of pigeon racing – club races and one loft races. Club races do generally require a pigeon owner to keep a loft. However, one loft races do not. If I don’t have a loft, how does it work? If you don’t have a loft, the only way of racing pigeons is to enter One Loft Races, where the pigeons are raised in one loft location, by one loft manager. You buy a pigeon (or pigeons), then pay an entry fee to have the birds housed and looked after by the loft manager. Are pigeons expensive to keep? If you plan to keep your own loft, then there will be an initial outlay to get started, along with costs for feed, vaccinations and other equipment. If you want to keep your pigeons in someone else’s loft, there will either be a one-off fee (see One Loft Race) or boarding fees. What is a One Loft Race? A one loft race is a race where all the pigeons entered are housed in the same loft. They are raised in the loft from the age of 6 weeks, trained together, then transported to the same location and released at the same time. They then race back to the ‘home’ loft. The one loft race is actually made up of four races over the season, each one longer than the next, but each race follows this pattern. In a one-loft race, there are two options. The pigeon owner can pay another entry fee and have their pigeons transferred to another loft for yearling pigeons, and another race. Alternatively, the owner can opt to return their pigeon to the breeder or sell it to another pigeon fancier. What about other, more traditional pigeon races? The conventional form of pigeon racing is for each pigeon keeper to race birds from the same starting (or ‘liberation’) point, back to their individual lofts. The distance between these points is calculated to the nearest yard and the birds of each club or group of clubs are all released together. Each bird wears a secretly numbered rubber race ring or an electronic ring and when that bird arrives at its home loft, either the rubber ring is removed and placed in a clock which registers the time or the electronic ring registers on a computer. Knowing the distance of the flight and the time taken enables the club to work out the average speed and the bird with the highest average speed is declared the winner. How do I find local pigeon fanciers? Contact the regional RPRA secretary for your area, and they’ll put you in touch with a local club or fancier. When you make contact with your local club, you’ll find that they will be only too pleased to help you out in getting started and answer any questions you might have. Pigeon racing is a competitive sport, but you’ll find pigeon fanciers to be generous with their time and knowledge. Racing pigeons, if well looked after, can live for upwards of twenty years. To put that into perspective wild or feral pigeons, like the ones you see in town centres, have a life-span of three to four years. Racing pigeons often mate for life, with breeding pairs staying together for their whole lifespan. What is the difference between a pigeon and a dove? It may come as a surprise that there are very little, if any, differences between doves and pigeons! Pigeons and doves are both members of a bird family of about 289 species, some of which are found in almost every country of the world. Many of these birds have been domesticated and thrive in close proximity to man. Scientifically speaking, there is no difference between a pigeon and a dove. Sometimes the names are used interchangeably. Domestic pigeons, whether feral or racing, are descendants of the Rock Dove, Columba livia. Are racing pigeons the same as the feral pigeons that we see in parks and town centres? They are effectively the same species of bird, but racing pigeons are a world away from their wild brethren. Racing pigeons have been selectively bred by humans to emphasise stamina, speed and strength, and also homing instinct. Racing pigeons are sometimes called ‘The athletes of the air’ and you can see they are much slimmer and sleeker looking than a wild or feral pigeon. If in any doubt, a racing pigeon will have a ring on its leg. It’s not possible to take a feral pigeon and train it to be a racing pigeon. No, the welfare of the birds is of paramount importance to pigeon fanciers. An unhappy pigeon will not fly well. Pigeon fanciers are extremely fond of their birds, becoming very attached to them. They care for them, keep them comfortable, fed and watered and do everything in their power to keep them healthy. Pigeons like to be around people, react well to being gently handled, and will happily settle in a fancier’s hand. Fanciers treat their birds as pampered pets, and many pigeons can recognise their owners. The pigeons enjoy exercise and will happily fly long distances. Long flights and the homing instinct that forms the basis of the sport are natural features of pigeon physiognomy, not something that is forced on them. The RPRA takes the welfare of the birds very seriously and will expel and report any fanciers found to be treating their birds cruelly. 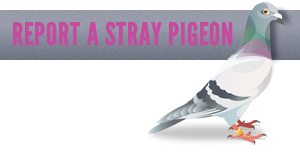 You can look around this website for more information, but the best way to find out more is to talk to a pigeon fancier. Contact your nearest Region Secretary and ask to be put in touch with a local club. Or come along to the British Homing World Show of The Year, Blackpool, in January, and see first hand what it’s all about. 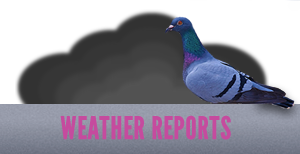 You can see an excellent film about Pigeon Racing and the RPRA, made by Ray Knight, at this link.